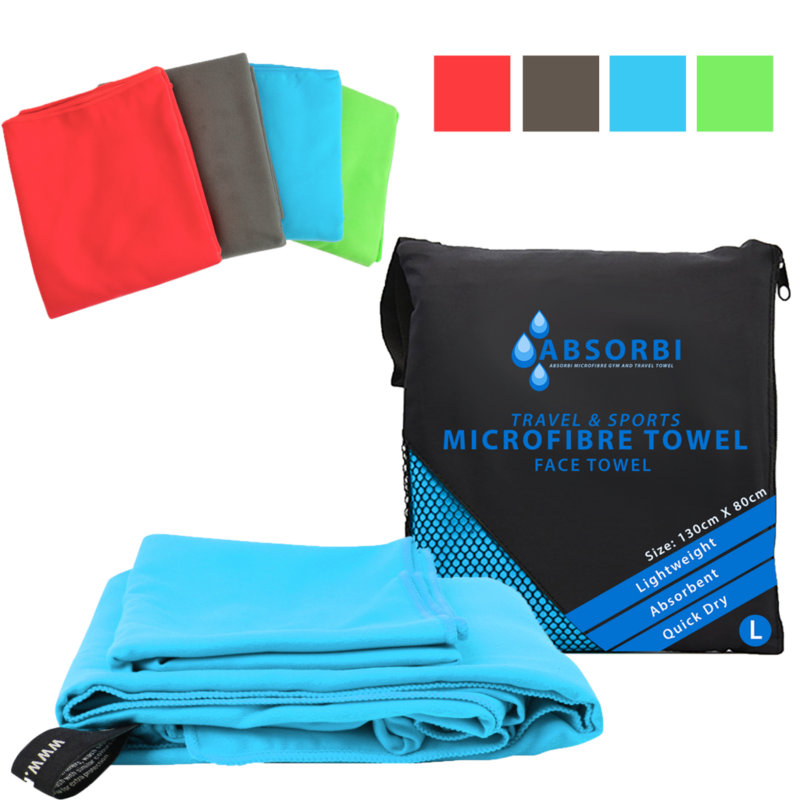 Absorbi Microfibre towels soak up water more efficiently than cotton towels and are luxuriously soft on the face, back and body.  Great for kids and adults alike, these microfibre towels are perfect for Yoga, CrossFit, the gym, camping, or even days at the beach. 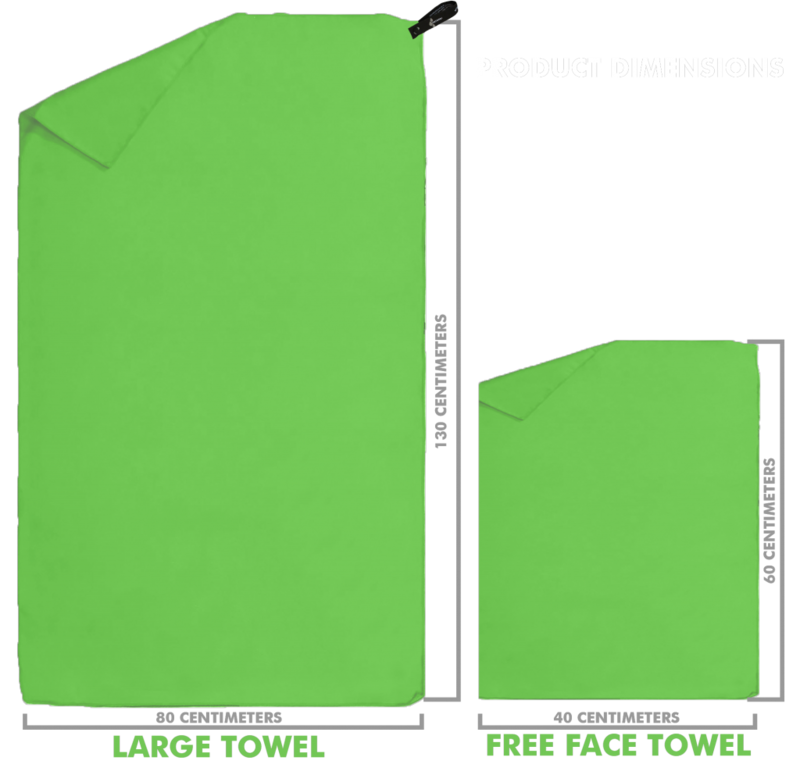 Microfibre quick dry towels have antibacterial properties, making them more germ, odor and bacteria resistant. This means safer support for skin and hair. Every order also comes with a matching face cloth that can be used for drying your hands or face at home or on the go. Great for those cross country business trips or sweaty gym days! Was £24.95 Up to 70% Discount. Buy now risk free with a 30 Days money back guarantee. Work great for gym days. They do exactly like they are supposed to. Very quick drying time and ready for reuse in few hours. I was looking for towels for guest for our pool and took a chance on this company. I LOVE THEM AND WOULD RECOMMEND OVER AND OVER. Fast drying, long towels, lightweight and great quality. Used it for camping, it was awesome! Plus face towel was an excellent bonus. very light weight, under 200g. I definitely recommend it and I will be buying more. 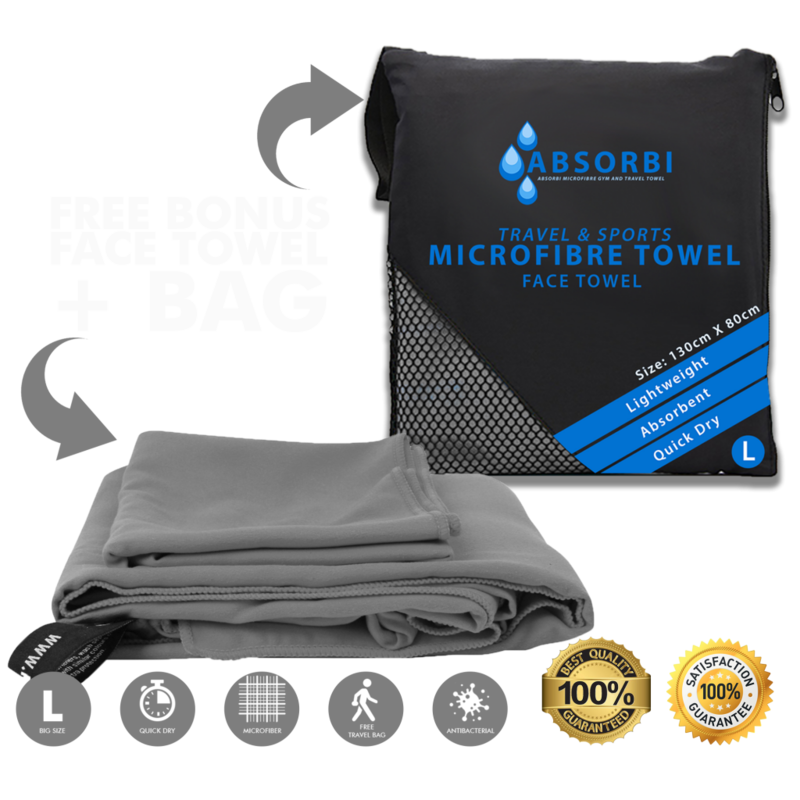 Click ‘Buy Now on Amazon’ below and get a premium microfibre towel and face wash cloth and stay clean and dry at home, at the gym, or on the go.